As told by a traveling troupe of actors led by the cunning and charming Leading Player, Pippin is the story of a young prince, heir to the throne, who is searching for his own “corner of the sky.” Pippin returns from university certain that he will find a fulfilling purpose in life. As encouraged by the Leading Player, Pippin dabbles in bloody battle, licentious and lusty sexual entanglements, and saavy political maneuvers, only to discover that true happiness is more complicated than he thought. 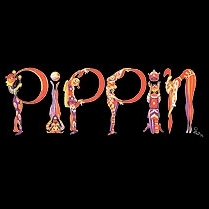 With infectious tunes by Stephen Schwartz and classic choreography from Bob Fosse, Pippin is both a humorous allegory about growing up and a dark tale of the danger of false appearances and empty promises.